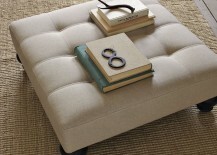 There’s a reason that Little Miss Muffet liked to eat her curds and whey on a tuffet — they’re quite comfy. 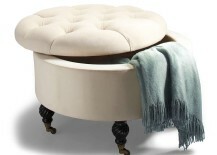 Also known as a pouffe or a tufted ottoman, these versatile pieces of furniture come in all kinds of shapes and sizes and can be integrated into many different decor styles, from ultra-feminine to rustic to modern. 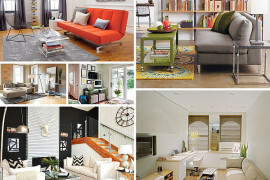 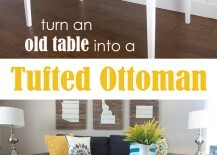 Treat yourself to a daily dose of interior design eye candy by checking out our roundup of tufted ottomans below. 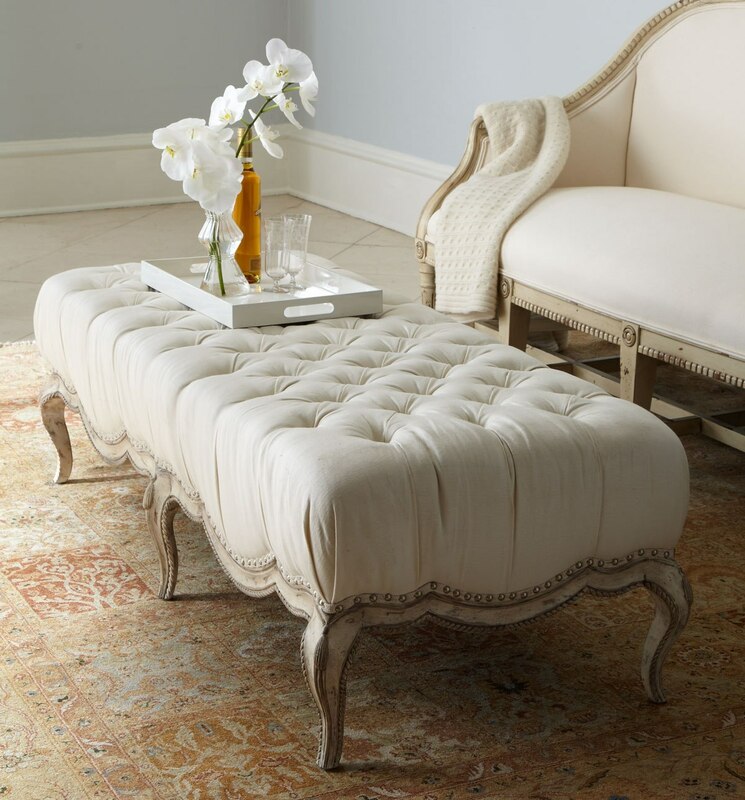 Add a touch of femininity to any room with the elegant Milania Tufted Ottoman by Horchow. 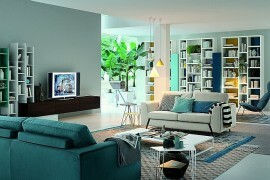 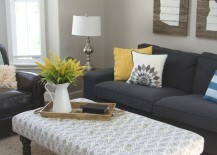 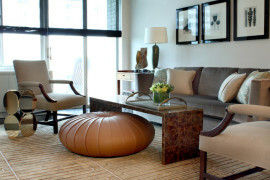 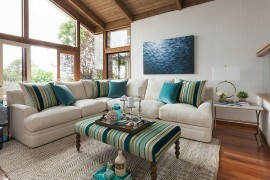 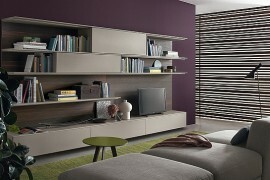 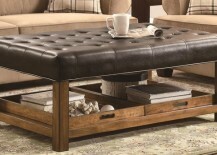 It’s large enough to double as a coffee table, and can also be used as extra seating when the extended family is over. 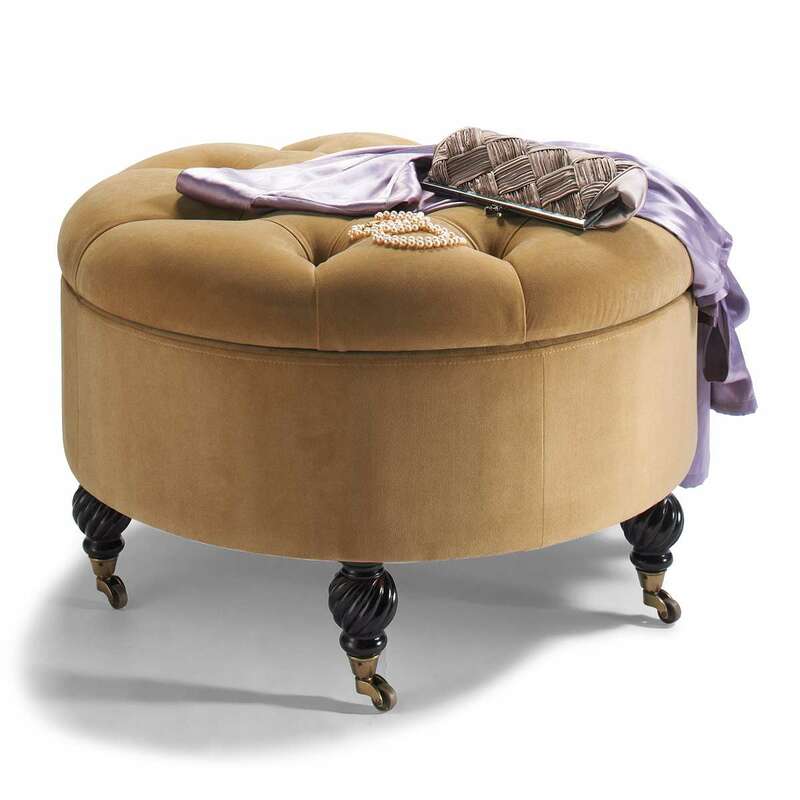 The Collette Tufted Storage Ottoman features a charming round shape and five turned hardwood legs that give it an old-world feel. 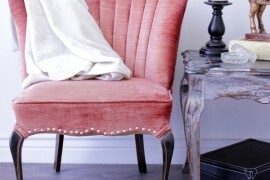 But don’t be fooled by its luxurious, velvety texture. 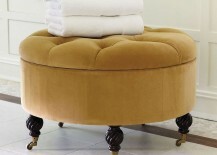 This workhorse has ample storage inside, and its casters allow it to be rolled expeditiously wherever an extra seat is needed. 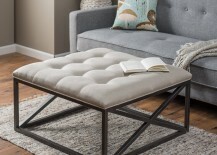 For a more contemporary feel, West Elm’s Essex Ottoman features a low profile and lots of room for magazines, coffee or your feet! 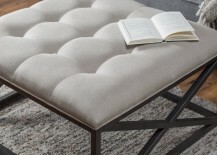 Available in a rainbow of colors and textures ranging from Aegean Blue Pebble Weave to Salt + Pepper Tweed, its decorative legs add a bit of an heirloom twist for a warm feel. 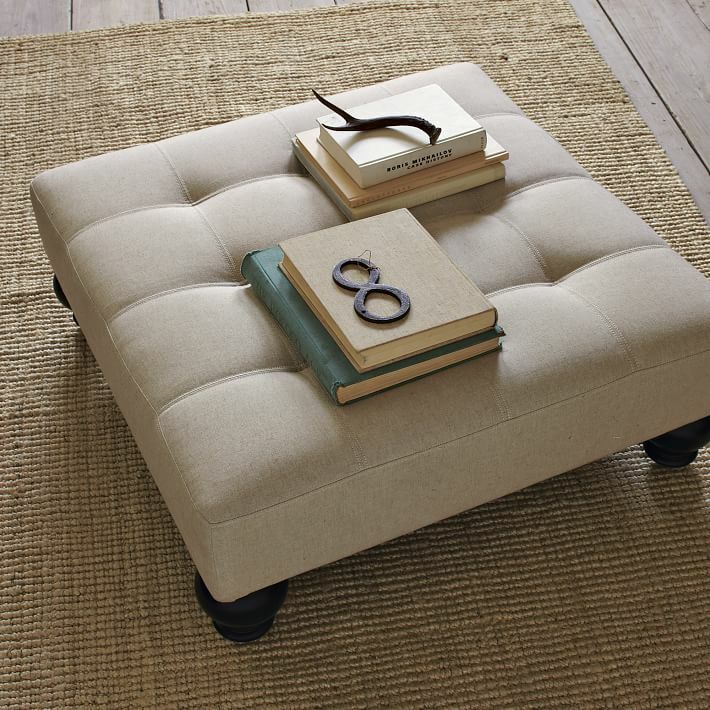 Not all covered footstools need to be overly stuffy or plush. 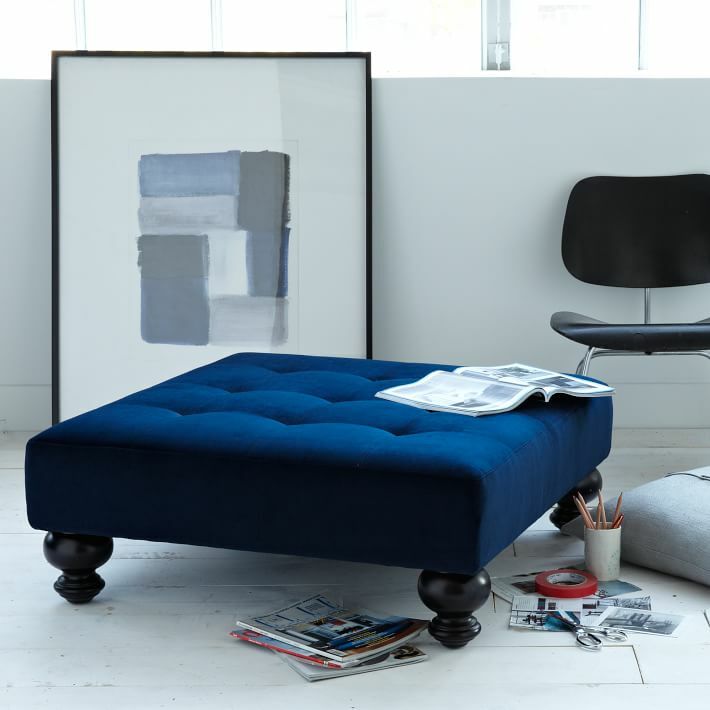 The Belham Living Grayson Tufted Ottoman marries the comfort of the pouffe with an airier, more open design below for the best of both worlds. 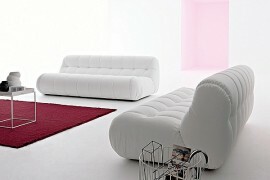 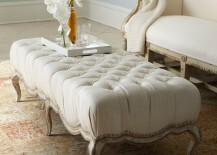 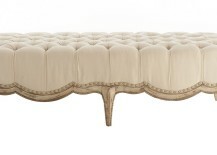 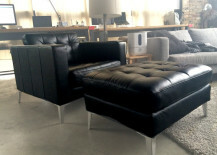 Not willing to pay an arm and a leg for a tufted ottoman? 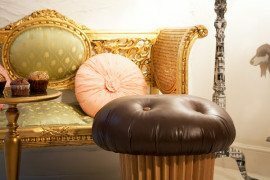 Check out Krrb’s assortment of secondhand options for some pre-loved and vintage treasures that keep them from ending up in our landfills. 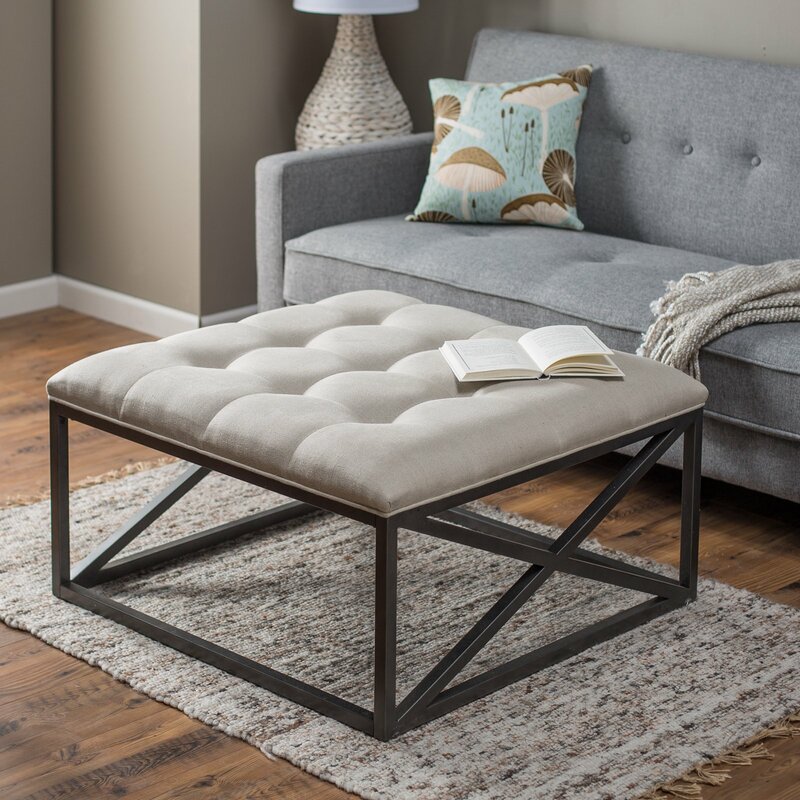 If you’re looking for a footrest with lots of extra storage, this bi-cast ottoman by Signature Design fits the bill nicely, thanks to its roomy drawers. 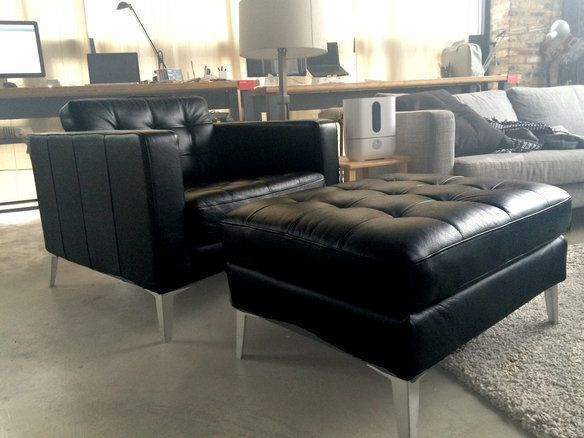 Covered in faux leather, it’s also a cruelty-free and easy-to-clean alternative for animal lovers. 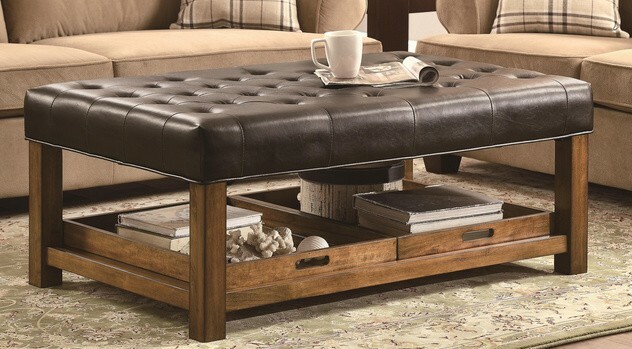 This Coaster’s useful ottoman/coffee table hybrid features two removable serving trays that allow it to easily be converted into a place to rest drinks for your next cocktail party or movie night. 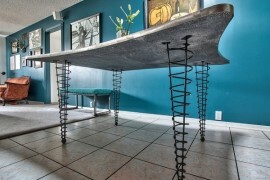 The handy platters may even encourage guests to bus their own glassware back to the kitchen – or perhaps that’s stretching it a bit. 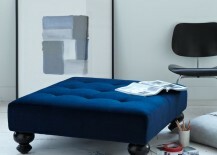 But who says you even need to buy an ottoman? 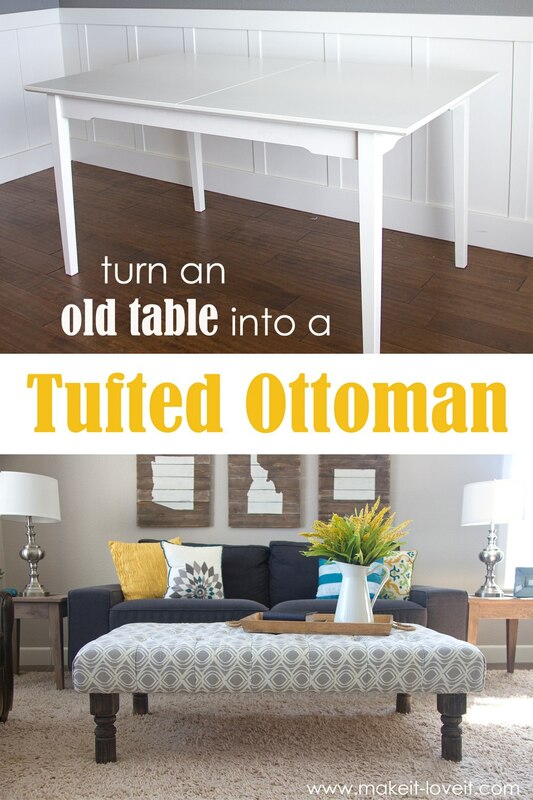 Follow Ashley of Make It-Love It’s clever tutorial to fashion a DIY tufted ottoman out of an old table. 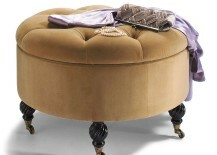 Which of these tuffets do you think Little Miss Muffett would approve of most?